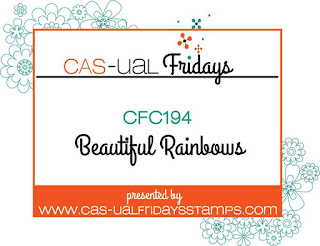 Created this card for the Cas-ual Fridays'Challenge using rainbows. 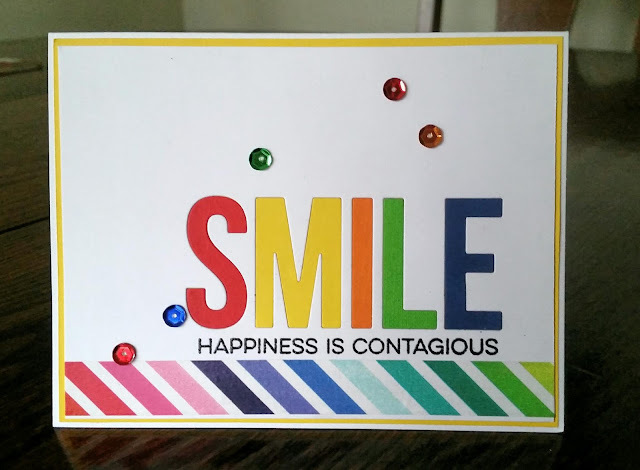 I die cut the word smile from 5 sets of cardstock and inset a letter of each color in the word on the white card, stamped a sentiment underneath and added rainbow striped washi tape. To finish the card I layered it on yellow cardstock, and added sequins.